Details of the W3 2018 reunion in Dunedin are at this link. On 10 October 1970 3 Platoon suffered a 'blue on blue' accident when one element fired on another element by mistake. 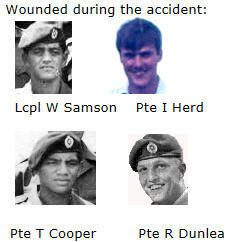 Friendly fire killed Pte Tom Cooper, crippled Pte Ian Herd and wounded LCpl William Samson and Pte Ross Dunlea. The accident cast a pall over the otherwise successful W3 tour and left the company personnel traumatised, saddened and frustrated. Tom was struck a glancing blow to the head by a bullet. He was winched with the three other wounded from the accident site by US Army 'dustoff' helicopter about 40 minutes after being wounded and flown to the Australian Field Hospital at Vung Tau. Unconscious, Tom’s condition was assessed as critical and needing immediate specialist treatment and he remained on the helicopter which then flew him to the US Hospital at Long Binh. Tom died of his wound sometime on 11 October 1970. When returned to New Zealand Tom's body lay in state for three days on the Te Awamarahi Marae [Tuakau, Port Waikato] before, on the Maori Queen’s orders, being buried in the Royal Graveyard on the sacred Taupiri Mountain above SHW1 in the Waikato. Tom’s sister Liz recollects that Tom was buried with full military honours including gun carriage and graveside volleys. Paul reports he has stage 4 cancer of both the prostrate and thoracic spine. Paul lives in Malaysia but has this email address hjputih@gmail.com for contact. He was earlier trying acupuncture for relief and walks with a cane but is now undergoing radiation therapy and bee sting treatment which has improved lower limb numbness and mobility. Paul remains positive while trying to avoid debilitating hospital treatments and unnecessary chemicals. On 25 July 2017 Professor Ron Paterson released a discussion document “How well is the Veterans’ Support Act 2014 working? A chance to have your say”. Professor Paterson’s media release states: "A discussion document about how the Veterans’ Support Act 2014 is working has been released today. It is part of the consultation process for a Review of how the legislation is operating. The Review is a legal requirement under the Veterans’ Support Act 2014 and is being independently led by Professor Ron Paterson. The Review is expected to be completed, and a report provided to the Chief of Defence Force, by the end of 2017. The discussion document seeks views about how the Veterans’ Support Act 2014 is working, what could be improved, and what needs to be changed. “I have released this discussion document early in the Review process, to give people as much time as possible to think about how the Veterans’ Support Act is working for them”, says Professor Paterson. “I’m looking forward to meeting as many veterans and their families as possible at the consultation meetings. They have served our country and the Veterans’ Support Act is there to provide the support and rehabilitation they need as a result of their service”, says Professor Paterson. “We don’t often get the opportunity, so soon after new legislation comes into effect, to independently review how it is working”. “I encourage everyone who has an interest to take this opportunity to have their say”. A death notice on different websites including the Westport News newspaper advises that Derrick Marsh passed away Sunday 9 July, likely while a patient at Rannerdale Veterans Home Christchurch and has been buried in his hometown Westport. Derrick was 68. Originally 1Pl Derrick moved to mortars midway through the W3 tour. Post tributes or news for the W3 website here. Sunray advises that in today’s Dominion Post is an obituary notice for 839836 Philip R Cribb RNZIR Coy HQ Spt Sect W3 Coy 1969-1970 Vietnam. Phil died 3 July in his 74th year and to the best of Evan's knowledge was never married. Phil's funeral is on Friday 7 July at the Aorangi Marae Feilding at 11am. Phil served for the full tour as a Private Batman/Orderly. Evan will endeavour to make the funeral and hopefully will be joined by some local ex Vietnam vets. Post tributes for the W3 website here. 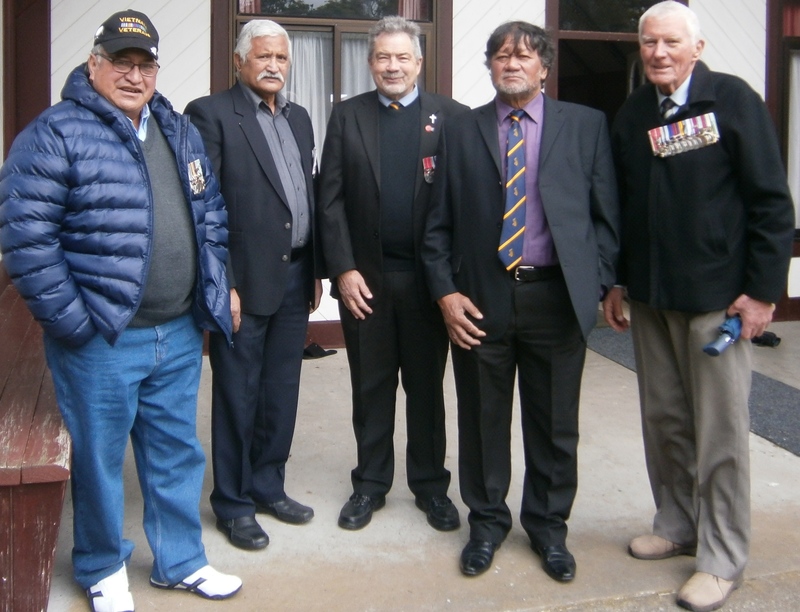 Evan Torrance - The Aorangi Marae was packed with whanau, friends and ex military folk for Philip's funeral. The eulogies painted a picture of Philip as a loving and caring brother, uncle and father figure to the many members of his whanau. He was also well known and popular around the Feilding district where he socialized enjoying a convivial drink and good food. 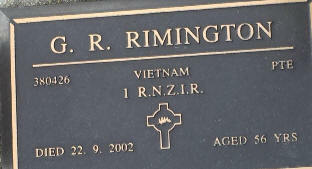 The ex military folk comprised a number of ex Vietnam veterans and colleagues who had worked alongside him in Wellington and Christchurch post Vietnam. In the photo are the ex W3 Company veterans who were present - Jules Toheriri, Danny Campbell, Dave Gundersen, Ngatoko Kupe and Evan Torrance. March 2017 W3 website readership peaked with 2070 unique visitors, with a six month total of 10,603 unique visitors. Interest in the W3 website is still strong for a website of this genre. The first table illustrates different statistics for visitors: unique visitors is based on different IP addresses [same computer multiple visits equals one] - No of visits is a computer who has not linked to the site in the previous hour - pages is the total of times a HTML [web] page has been viewed [but does not count PDF or other files or images], while hits show total of everything viewed or downloaded [page plus all images on page are counted] and bandwidth is the amount of data downloaded and read each month. This table illustrates where visitors in June 2017 were located; typically the US is the largest source of visitors.